Unfortunately you cannot do something like a recessed square with the Custom Cabinet. 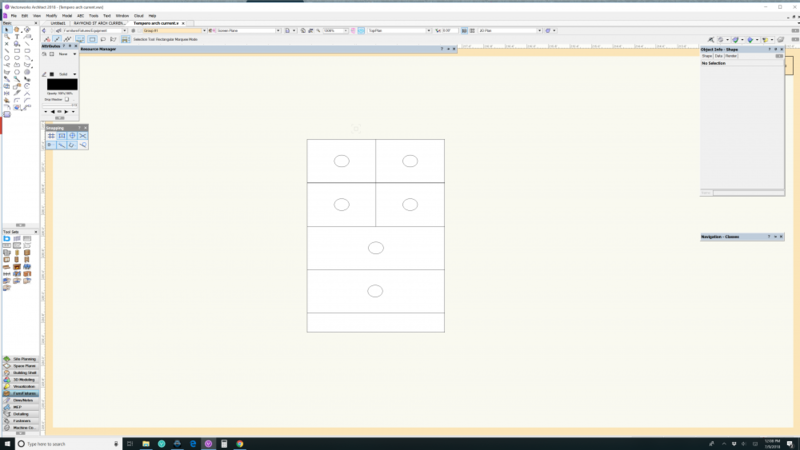 I do not think that it is possible, as the Custom Cabinet cannot have different numbers of columns. Either it is 1 everywhere or 2 everywhere (or whatever column numbers you want). Maybe stack a 4-drwr cab (sans toespace) on top of a 2-drwr cabinet?